I know, I know. Night of the Living Dead is where it all started. How can I even think to place it at number 5? What’s wrong with me? 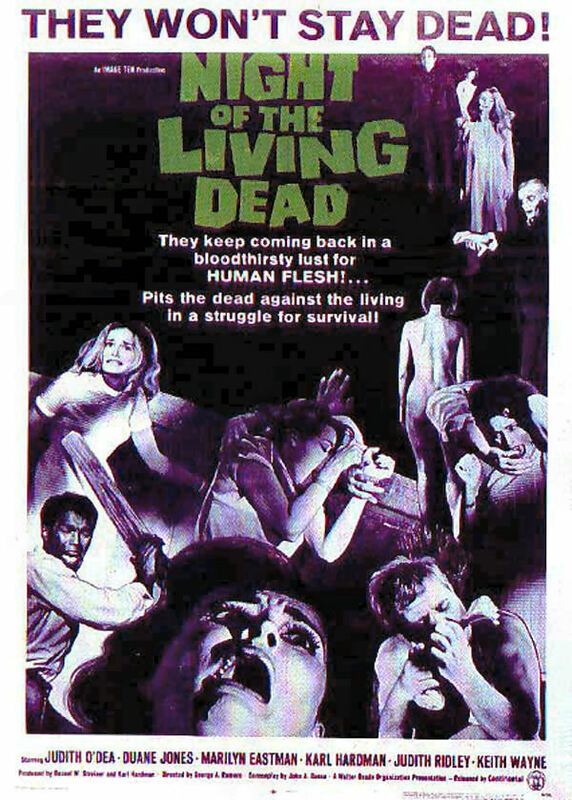 I think the original George A. Romero classic is great and deserves mad respect for starting the whole zombie genre. The basics are all there: a small group of survivors fighting off waves of the undead who feast on the flesh of the living. Perfect. But as for me and in my opinion, going back and rewatching it, it’s almost too simple. Cheesy almost. But regardless, I still love it and constantly rewatch it. It did make the top five after all. What?! 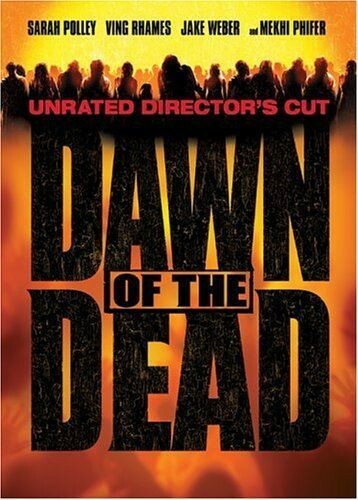 The Dawn of the Dead remake gets number four, but the original only gets number five? Again, I would just like to reiterate, this is my top five. The reason I like the remake more than the original or even Dario Argento’s recut for that matter, is because of the pacing, the humor and the fast zombies. I know many people aren’t fans of the faster zombies, but I think they add a real sense of urgency in dealing with the undead. Plus Ty Burrel’s character is enough reason to watch this one alone. So glad he was cast as Phil on Modern Family. 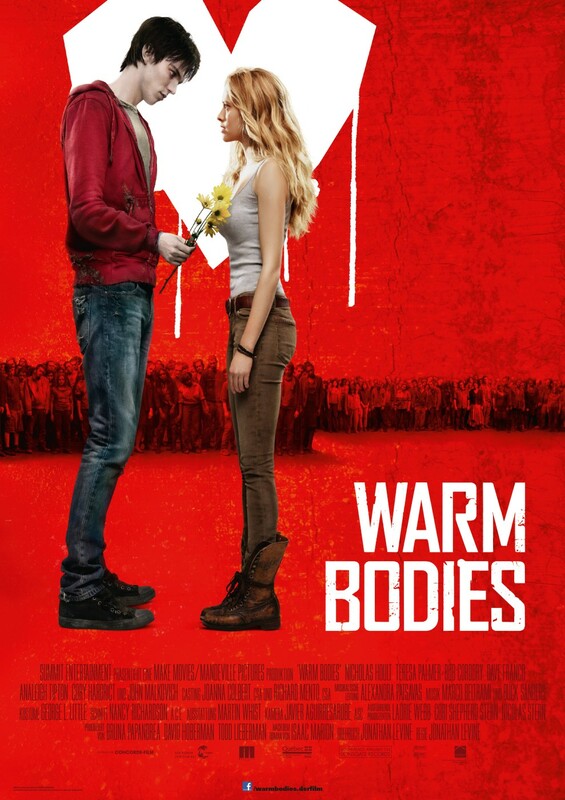 I laughed the entire time throughout Warm Bodies. R’s constant shrugging and Rob Coddry’s hilarious portrayl of M were perfect together. 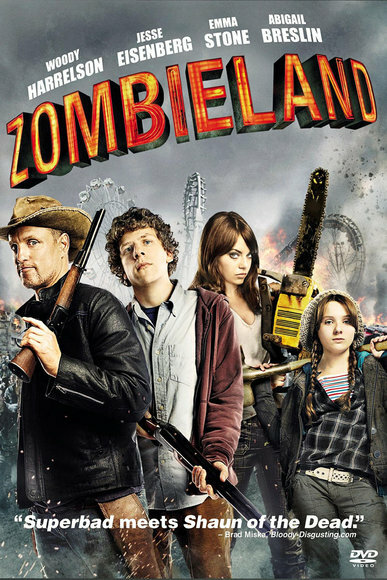 I love a zombie movie with humor. Anything that can keep me on my toes and make my sides hurt from laughing is a great movie. Going back and reading the book is on my to-do list. 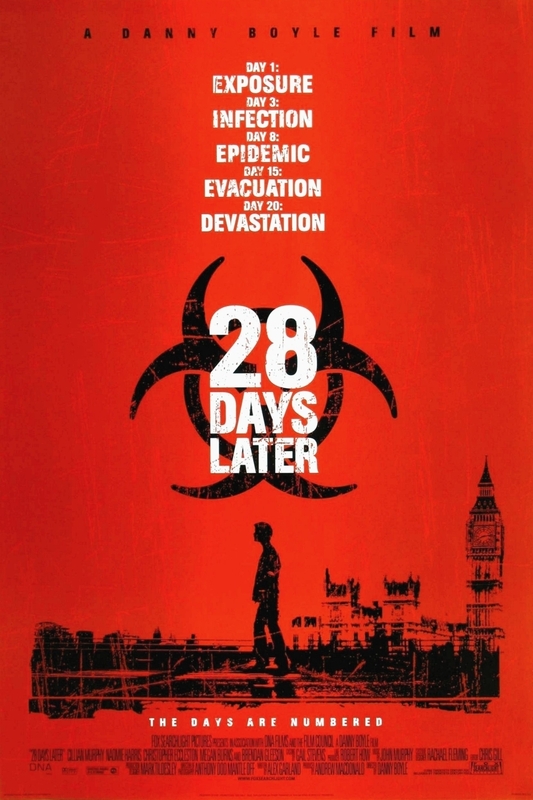 Ah, 28 Days Later... When zombies became scary again. (Excuse me, infected.) The whole movie seemed like one non-stop ride. Even the slower, more quiet parts of the film were only like the climb on a roller coaster, there only to eject us into the maddening drops and spins. The end sequence is probably not just one of my favorite zombie movie moments, but maybe even one of my favorite cinematic moments. And what made it so much more powerful was the score by John Murphy. What’s in your top five?